Discussion in 'Java Edition News' started by Camezonda, Mar 20, 2018. It's that time of year again... Easter, a time for chocolate eggs and bunnies. We're egg-cited to announce our seasonal update for CubeCraft! As you may have noticed, we've made our lobby Eastery. The builders worked very hard to produce such an amazing lobby. You'll join our network surrounded by hundreds of colourful and different sized Easter eggs. We've also brought back everyones favourite Easter egg hunt. 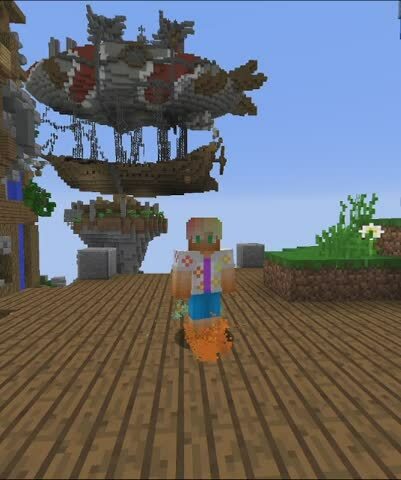 You'll need to search the lobby up and down to find 25 Easter eggs, and once you when them all, you'll win a wonderful Easter Cubelet and an Easter arrow trail. With the previous Loot update bringing 3 new types of Cubelets, we're happy to announce Seasonal Cubelets. This Easter we have created Easter Cubelets, which can be purchased on our store or also won ingame. Easter Cubelets only reward you with amazing Easter items. From a moving Zebra cage to an Egg Cannon gadget, there's a lot of different types of Easter Loot items available. 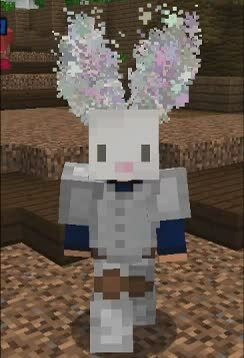 Easter Cubelets also have a cute bunny opening effect, and they are only obtainable during the Easter period, and they cannot contain duplicate items. If you purchase one of the Easter Cubelet bundles from our store you'll unlock one or more of our exclusive Easter miniatures. 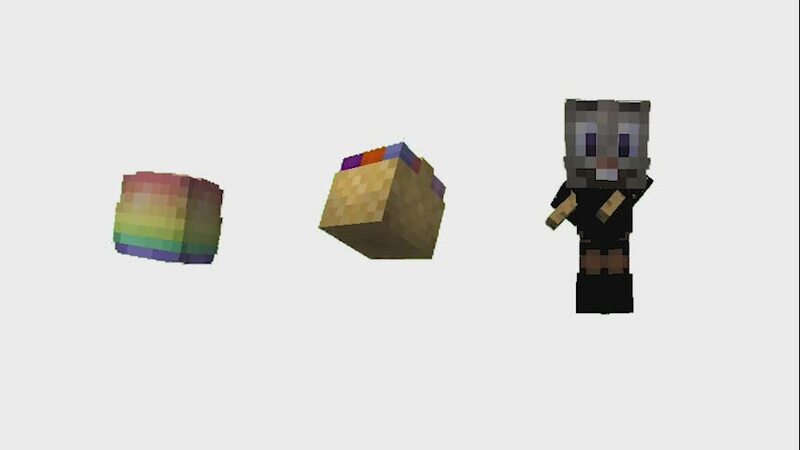 Purchasing 3 Easter Cubelets will give you the Egg miniature, 5 will give you the Basket miniature and 10 will give you the amazing animated Rabbit miniature. The builders have been working hard to bring you guys some amazing new Easter maps, with some of your favourite ones returning from last year. Don’t paws for too long, keep moving and get to mid! I carrot believe this map is back! Spring into action with this eggcellent new map! We've added brand new Easter items for you to dig up and catch. 9 new Lobby Fishing items and 9 Relic Hunting items. You can see them within the "Holiday" tab inside your Fishing or Relic journal. Collect them all before they are disabled after Easter. Starting from today there will be a up to 30% OFF our Virtual Store. Grab yourself a shiny new rank, rank upgrade, game multiplier or Cubelet pack. Available on our Store now! Magitroopa, JaiStrixZ, NavarKiller and 43 others like this. NavarKiller, benja1313, Azalea Blödhgarm and 6 others like this. Seasonal events are getting more jam-packed than we could have possibly imagined. Shrek Trained Me, Zombiepower, SpringWarz and 1 other person like this. Amazing, I really love the new maps great job! Time to spend all of the time relic hunting and fishing! Capitan and komododragon2002 like this. Haha those bunny ears are amazing! Good job! Everybody good luck with collecting cubelets! Loving the new eggwars maps so far! Nice work team! you.. YOU ARE NOT DEAD? Oh by the way: Do Easter cubelets guarantee Easter items? Or anything as long as it's not already obtained? And can you also get the Easter items in regular cubelets? I have seen 4 people opening it and they all got Easter items. Priley and Spuuuni like this. Can you upgrade the eastern cubelets as well to the super and uber tier?